We know that navigating the legal system can be challenging. At Power & Power Law we do our best to provide clients and community members access to information that may be helpful. Need to find a non-personal injury case on today or tomorrow’s Court calendar? Find it here. Need to find out the status of your non-personal injury case in the court system? Use your name to search CourtView for your case here. Sometimes, you can handle matters like small-claims on your own. Start here to utilize the Alaska Court System’s Self-Help Services. We offer personal injury attorneys to clients when we can. But we provide specialty legal services related to personal injury matters only. If you are looking for an attorney to assist you with a non-injury related matter and your independent search is not yielding results, contact the Alaska Bar Association Lawyer Referral Service. You can contact them at (907) 272-0352, or toll free at 1-800-770-9999. Power & Power Law provides in-office notary services to clients. Indeed, everyone at our firm is a notary. But, you may need a notary in your home community for non-case related reasons. Find a Notary in Alaska by searching commissions using the Alaska Notary Commissions website. Many clients need the assistance of an interpreter to translate English into their native language and informally use family and friends for this assistance. The Alaska Institute for Justice, Language Interpreter Center may also be able to help. Learn about the Language Interpreter Center by visiting its website. Or contact them by telephone at 1-877-273-2457. 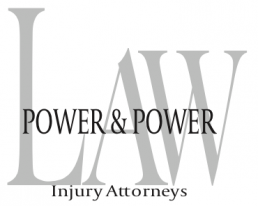 The attorneys at Power & Power Law specializes in helping those injured by the negligent and reckless conduct of others. Our personal injury lawyers are dedicated to obtaining justice and maximizing financial recover for clients. If you or your loved one has been injured, we may be able to help. Contact Power & Power Law today.